What's a sheriff without a badge? Not a Sheriff. 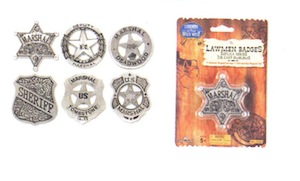 This assortment of badges is the perfect fit for your little officer in training. Assorted badges. Price is per badge.